Tailor your design to suit the environment. 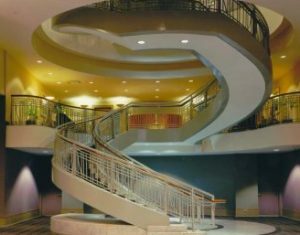 If the standard American Stair components don’t quite deliver the visual punch you’re looking for, then American Stair will fabricate a completely custom stair based on your completed design. As long as the stair is steel, structurally sound, code compliant, and can be transported to a construction site, then the sky is the virtual limit. 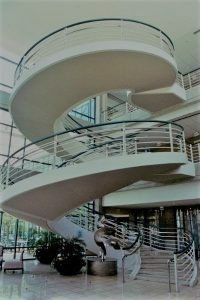 Cladding your steel skeleton in glass, terrazzo, and stainless steel will produce a truly elegant monumental or feature stair.